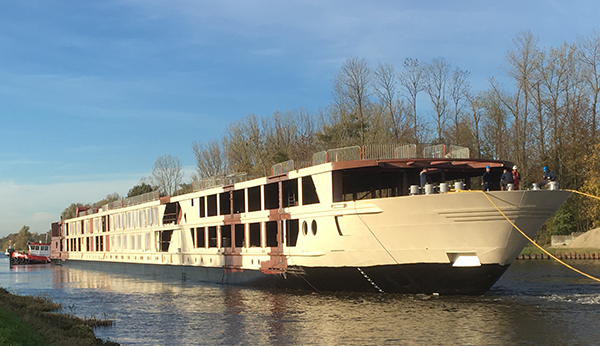 After several months of naval engineering and production design by MasterShip, the latest member of the “Amadeus river cruise family”, owned by Austrian cruise operator Lüftner Cruises, is about to be launched in Amsterdam. “The assignment is unique in several respects”, says Project Manager Production Design Hendrik-jan Loonen. Recently, our Project Manager Hendrik-Jan Loonen visited Taiwan to provide training on MasterShip software. Instead of the initial three participants, Hendrik-Jan unexpectedly found himself giving a presentation to an audience of some 30 engineers of Lung Teh Shipyard. The company, that is located in the northeast of Taiwan, not far from Taipei, is now dedicated to ‘fully exploit all features of MasterShip software in order to further professionalize and align their designing processes’. 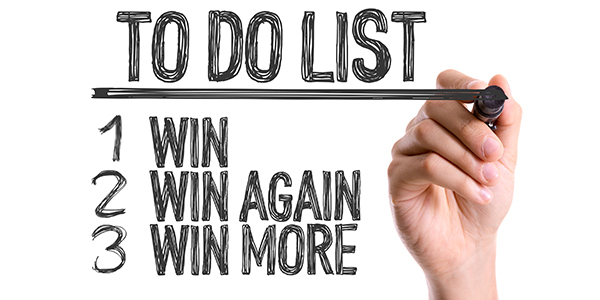 To catch the reader’s attention, many blogs tend to be interspersed with witty one-liners. To be really honest, we are no exception to the rule. In this particular blog, however, we have every reason to avoid one-liners. Literally that is. After all, in ship design there is a multitude of geometric lines and curves to choose from. In some cases, switching back and forth between them can be quite convenient. 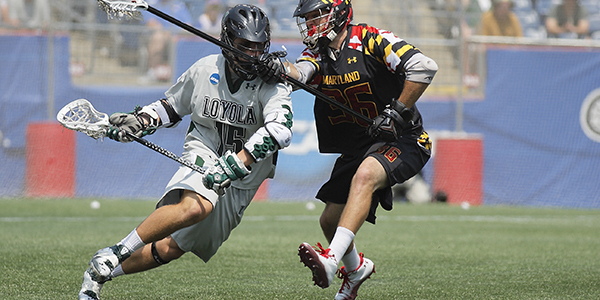 From July 11 to July 21 Netanya, an Israeli city to the north of Tel Aviv and host of the 2018 WC Lacrosse, was overrun by over 2,000 athletes from some 50 countries and thousands of spectators. Among them was Wouter van der Horst, Product Development Manager at MasterShip. Making his debut as a referee at a World Championship, it was obviously a great experience Wouter describes as ‘educational, special and intense’. As most of our users know, we take an agile approach to software development. 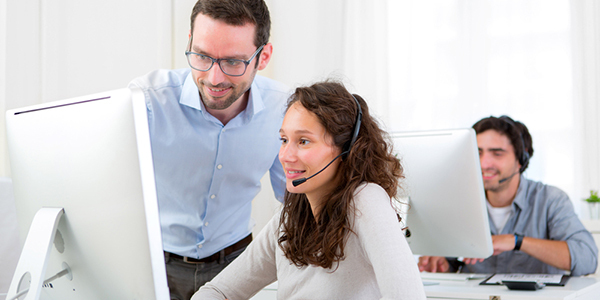 By providing our customers with new or improved functionalities on a (very) regular basis, we allow them to benefit from the corresponding advantages without delay. Judging from the general satisfaction among our customers, we are none the worse for these short implementation times. 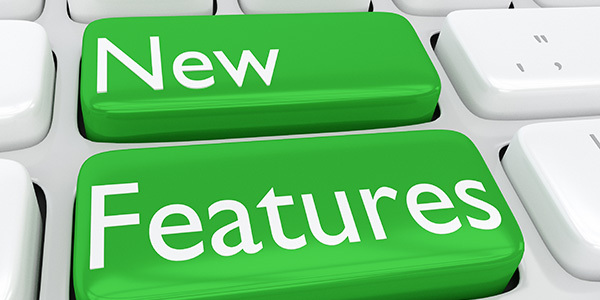 Wouter van der Horst guides us through the latest added features. 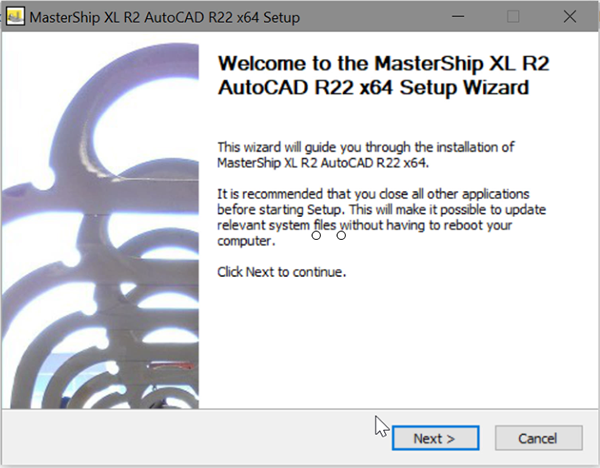 Always looking for ways to bring more efficiency into ship design as well as the ultimate construction at the wharf, MasterShip has released numerous software updates and tools over the years. The marking of stiffeners is just one of them, but one that can save you quite some time if applied correctly. 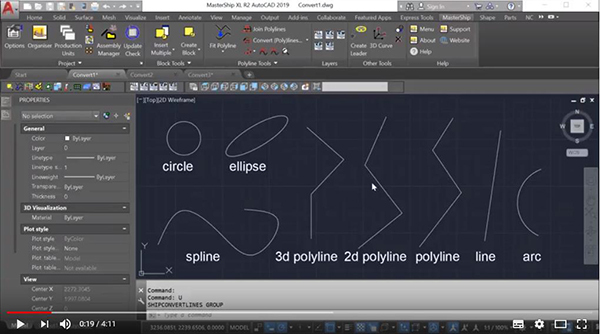 After watching our newly released three-minute tutorial on this topic, stiffeners will no longer hold secrets to users. MasterShip is known for its holistic approach in ship design. With many engineers, each with their own expertise, working towards the same end product, alignment of their different operations is crucial. Without it, things are bound to go wrong. This especially applies to piping design that is usually done in a fragmented way. Here, problems are generally more of a communication than a technical nature. Each time a ship leaves a shipyard ready to sail the seas, a comprehensive set of designing, engineering and construction processes comes to an end. The finished product is an accumulation of countless activities, many of which were executed almost instinctively while others required some serious contemplation. 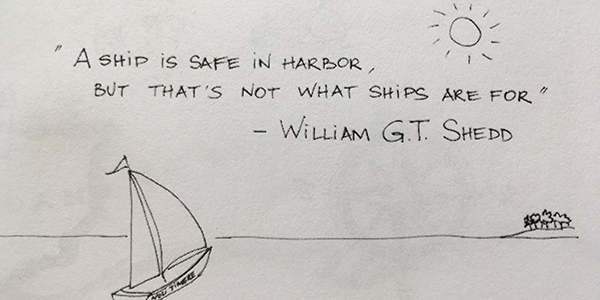 Installing the software needed is at the very beginning of a ship’s journey. Goodbye to paper construction drawings on your wall! In previous blogs we addressed the reluctance among quite a few wharfs to bid farewell to paper construction drawings. After a comprehensive pilot, MasterShip proudly presents the ultimate ‘happy medium’: Workshop Assistant. Are we really throwing the ‘CAD’ among the pigeons? Over half a century ago, way before the introduction of computers let alone CAD software, construction drawings in ship building were still handmade and in 2D. However impressive these ‘old-fashioned’ drawings were in terms of required skills, we now all benefit from the many advantages of 3D CAD software. Or do we? Strangely enough, many shipbuilders still ask us for 2D paper construction or workshop drawings. But isn’t that a bit like asking for a VHS tape with your favorite show when you can also watch Netflix? On November 1 last year, Bram Coenen joined the MasterShip team as a naval architect. In a way, he couldn’t have wished for a better birthday present as Bram, father of one daughter, was born exactly 29 years before in the southern Dutch province of Limburg. He comes across as a very modest man but still waters often run deep, to put it in marine terms. Judging from his picture on LinkedIn, he likes to explore which is exactly what he is looking for in his new job. Can Chinese and Dutch yacht builders sail the same course? 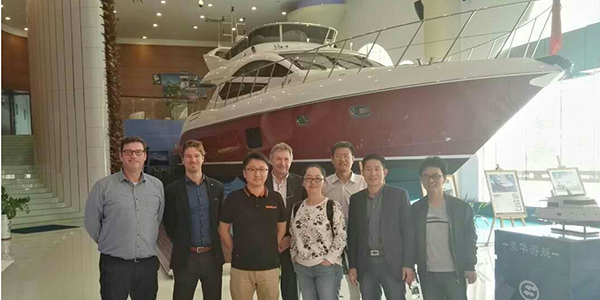 Looking for ways to lower the cultural differences between Chinese and Dutch yacht builders and to combine the best of two worlds, a K2K conference was organized recently at the SIBEX boat show in Shenzhen. The outcome was quite remarkable. 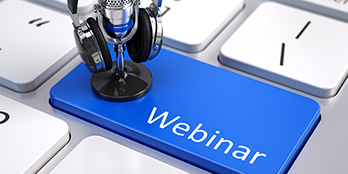 June 6 marked the beginning of a series of webinars by MasterShip. Encouraged by the success of that first edition, which was in fact a bird’s-eye view of our design software, a second webinar will be organized on Wednesday November 8. This time we will discuss specialist topics and features in more detail, ranging from compliance with classification society requirements to more practical considerations. Do you ever hanker back to the good old days at school, when life was easy and giving a presentation was about the toughest challenge to meet? Then our private training program is a great opportunity for you to revive those times for a few hours. Being able to exploit the full potential of our design software afterwards may serve as a welcome bonus. Or the other way around of course. 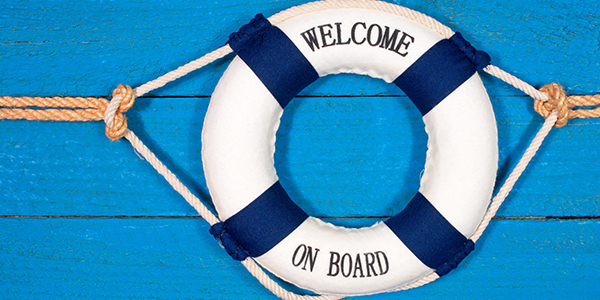 We can use more ‘hands on deck’! 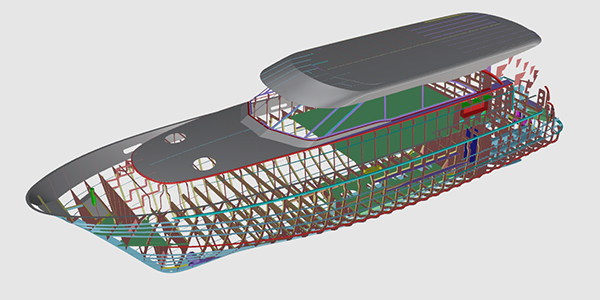 At Mastership it is all about designing ships and allowing fellow engineers to do the same using our software. One of the things in life you simply cannot design, however, is the future. At best, we can shape it a little by developing strategies, defining goals, facing challenges head on and stimulating innovation. 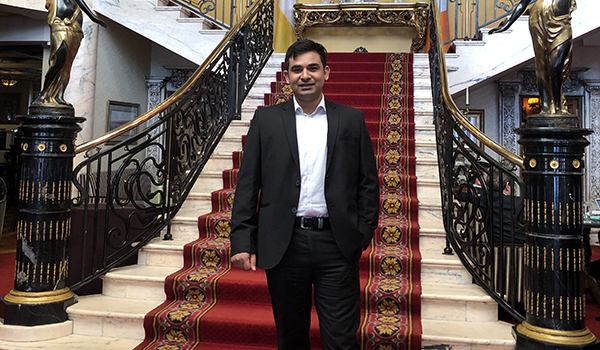 Taking a quick glance at the blogs we have posted along the years the other day, we actually came to the conclusion that we have succeeded in improving our products and services while growing our business considerably. We hope you enjoyed your holiday as well as our latest blog about doing some serious self-reflection while on annual leave. We too have spent some time thinking of new ways to explore (sipping a delicious cocktail in the meantime made this much less of an effort by the way). During one of these ‘tough sessions’, the latent idea to start organizing tutorials on YouTube materialized. The sun is shining abundantly, children are playing cheerfully after yet another year of educational stress and terraces are filled with casual conversations, only to be interrupted by laughter or the pleasant sound of bottles being opened. Thank God for summertime. To many of us, finding the right holiday destination was no trouble at all. However, determining the right course for our business is a different story. It takes things like ambition, creativity, determination and last but not least: time. The latter being scarce, why not exchange the umpteenth boat trip or dive in the pool for some serious contemplation? While preparing for our current blog, we couldn’t help thinking of the blockbuster Mission Impossible ‘Ghost Protocol’ starring Tom _Cruise_ (what’s in a name?). 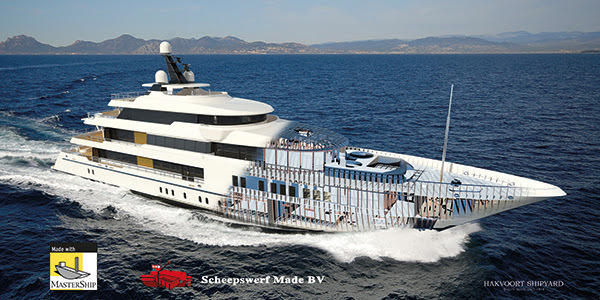 After all, finishing the entire engineering for a 17 meter yacht for Van den Hoven Jachtbouw, all the way from concept and basic design up to production design, in just over three months was very challenging. A few days ago, we caught Jacques Hoffmans sitting behind his desk totally immersed in building blocks as part of an almost ancient children’s game. Boys and their toys! He did have a perfectly plausible explanation for this though. 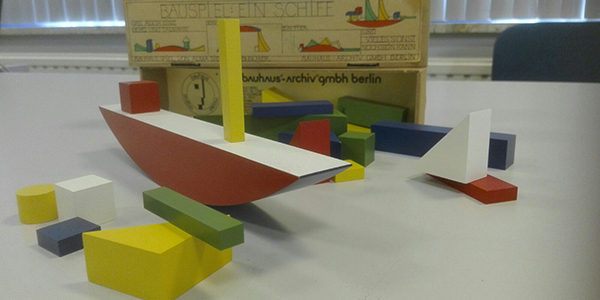 It turned out Jacques received the wooden ship-building blocks as a birthday gift some 17 years ago. At that time, Jacques was immediately struck by the simplicity of it. So much in fact, that it even served as a model for the current MasterShip logo. Remember one of our latest blogs about the striking presence of the word ‘ship’ in positive words such as partnership, friendship and relationship? However, there are similar words with a significantly more negative ring to them that, unfortunately, apply to part of our business as well. Hardship is one of them. Quite a few fellow-engineers and designers may know what we are getting at. “Tell me, and I will forget. Show me, and I will remember. Involve me, and I will understand.” These are famous words once spoken by 18th century American politician, scientist and Founding Father Benjamin Franklin. Little did he know that, centuries later, his words would still apply to many means of information transfer, let alone online. In a way, Franklin’s idea inspired us at MasterShip to organise a webinar on 7th June next, soon to be followed by yet another one. Have you ever noticed how many words actually end with ‘ship’? The examples are plentiful: partnership, fellowship, friendship, relationship, entrepreneurship and even MasterShip, to name a few. It seems no coincidence that many of these words combine the word ‘ship’ with positive, social elements like ‘friend', 'partner', 'relation' and 'master'. After all, designing and building ships is almost just as much about expertise and skills as it is about building and maintaining good relationships, particularly in China. We recently managed to make MasterShip Production Software even better by not only enhancing user friendliness but allowing users to save considerable time as well. In innovation, its alwrite too mayk misstakes! Recently, we came across an article about Miles Davis. He lived by the motto ‘When we stop making mistakes, we stop learning’. The jazz legend took this belief quite far and even fired several musicians who started playing flawlessly. We guess he was right. After all, if the Wright Brothers hadn’t had the guts to fail over and over again, aviation as we know it would quite likely be in a different state. And who knows we would be riding bikes with square wheels instead of round ones. 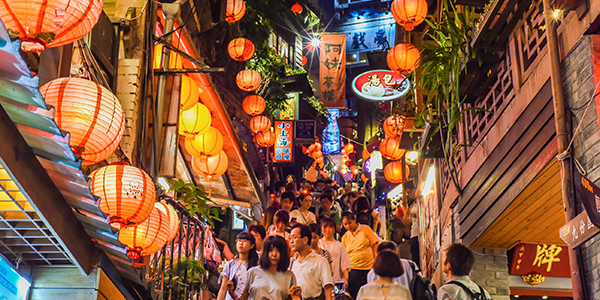 Reading our last blogs about Mastership’s adventure in China, one might get the impression that we have forgotten about our home market altogether. Nothing is farther from the truth. Among the various projects we are currently conducting, one stands out for several reasons: the complete design cycle for a 17 meter, spacious motor yacht, commissioned by Van den Hoven Jachtbouw. Mastership has extended its contract with the Dutch government as official Partner for International Business (PIB) by another year. This allows us to further substantiate various projects in China, including support vessels for a local offshore wind farm. There are, however, some serious challenges to be met. 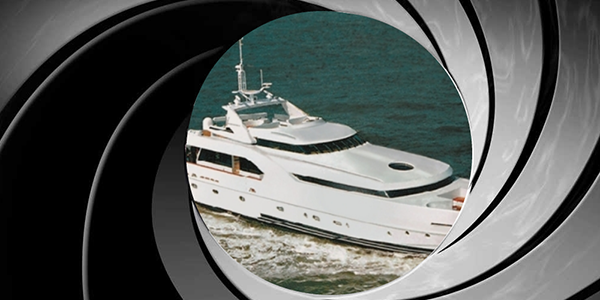 Writing this blog about an application we recently developed for use in Product Lifecycle Management (PLM), we couldn’t help thinking of a James Bond classic. And even though the project involved is not nearly as thrilling as the average day of 007, it did trigger quite some excitement among some of our clients. Your company could be next! Decades ago, under the communist regime, it was more likely to bump into a Martian than to meet an ordinary Chinese citizen who can afford his own yacht. Today however, there is a growing group of ‘nouveau riche’ looking for expensive toys to spend their yuans, renminbi, dollars or even bitcoins on. Always willing to lend people ‘in need’ a helping hand, Mastership established several partnerships resulting in the Royal Dutch Yacht Consortium (RDYC). We consider scouting activities a vital contribution to children’s education in terms of socialization, team-building and the like. Without any intention to brag about ourselves, we at Mastership do think we can help companies in the ship building and designing business by sharing our thoughts and expertise. 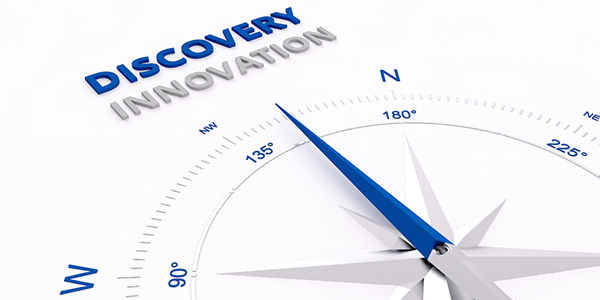 Always looking for ways to improve processes, we recently decided to apply for a more formal role as innovation broker for Dutch SMEs in the maritime sector. 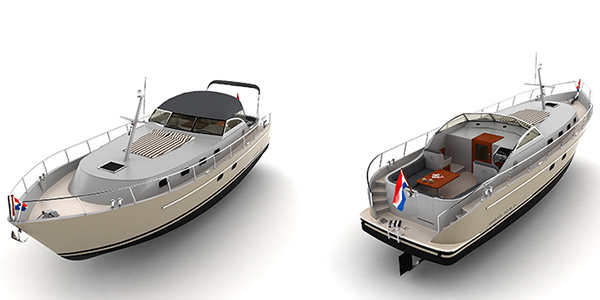 Contrary to all Vedette boats to date, which were constructed with a bow that is bended at the top, the bow of the comfort version has the shape of a perfect half V.
40% Savings in detailed design! We think it is safe to say that none of us like doing things over and over again when they can be done right the first time. It only leads to frustration. At Mastership we are no exception to the rule. In fact, this challenge in our own daily practice as engineers and designers was the main reason for us to proceed with our software development from a different angle. Designing a ship in AutoCAD can be confusing when you are working with mirrored objects. 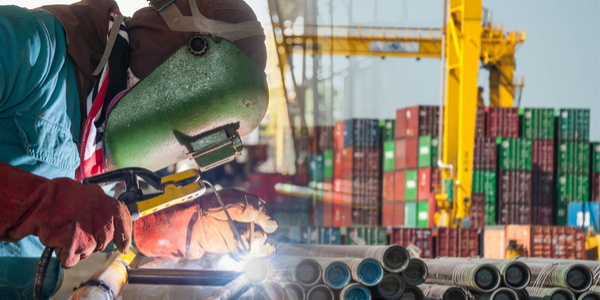 Mastership Software is currently developing a solution which adds clarity – in the design process and at the shipyard later on – and reduces the chance of making mistakes. Our new function allows users to make quick alterations throughout the design process and therefore saves valuable time. ‘By leaps and bounds’: full steam ahead! Looking back, it is fascinating to see how much our very first products – which we delivered thirty years ago – differ from our current offer. When providing project services, we have been using our own software since the very start, but we have improved by leaps and bounds. 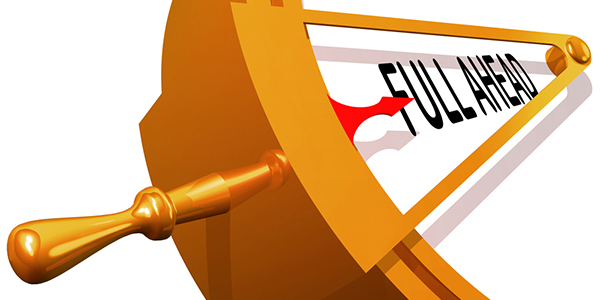 In the process, we’ve discovered that requirements and possibilities are only expanding. Our motto? Full steam ahead! Let us take you back in time and tell you how Mastership became what it is today: a thoroughly experienced engineering and software company, specializing in shipbuilding work preparation. We would like to share our story with you! The German waters will become a little safer, as Mastership has recently executed work preparation services for seven identical lifeboats to be built at two German shipyards. Although each client requested different services, we are confident that both projects will be successfully completed on-site. We have already delivered twenty similar lifeboats in the past, based on the same complex design. In August MasterShip delivered the last section of the build kit for a 55m supplier and diving support vessel for DUC Diving. For many years now MasterShip built an excellent name in naval architecture and work preparation for ships. MasterShip was again successful in the delivery of the detailed and production design of a 51m schooner. The building process of our latest project is going smoothly. 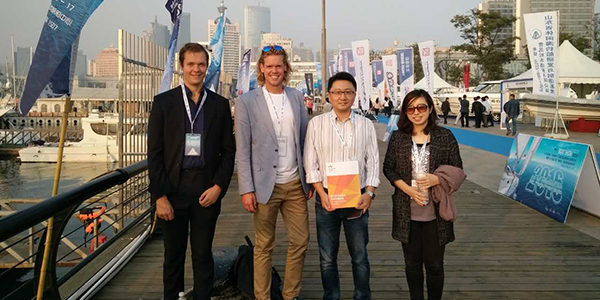 In April 2015 the Ministry for Foreign Trade and Development and a consortium from the Dutch yacht building industry signed a "Partner for International Business" (PIB) covenant for yacht design and engineering in China. The consortium consists of the leading Dutch market players Mastership Services BV as secretary, Mastership Software BV, SARC BV, Polyworx BV and MHE Engineering BV. 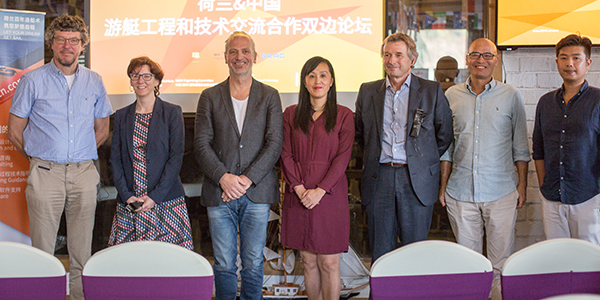 In the context of this covenant the consortium will receive practical and financial support from the Dutch diplomatic services in China to organize a road show in China to present their specialism in yacht design and engineering. The total Dutch yacht building industry can profit from this general introduction of the Dutch yacht building industry. 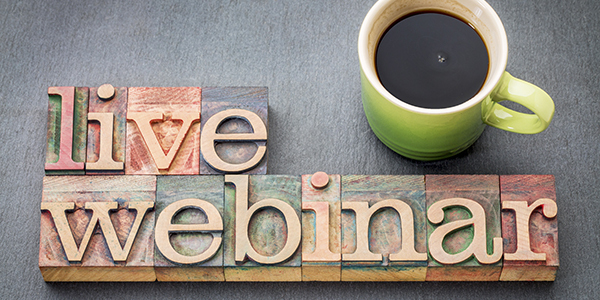 On 27 May 2014 at 09.00 and at 17.00 CEST MasterShip will host a webinar for the MasterShip Modeling Software. Work preparation for project Zeus just started. 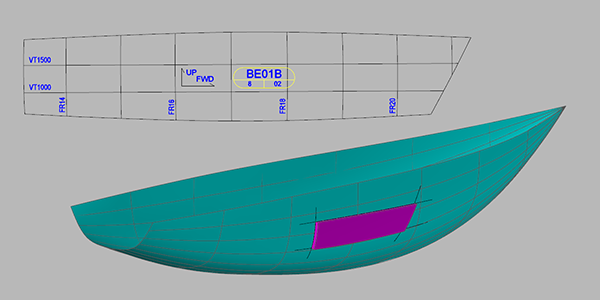 MasterShip Services just started with the production design for a 63m long motor yacht for Scheepswerf Made BV. Together with Merwelands Jachtbouw from Rotterdam and deVosdeVries design MasterShip is working on a 11m Tender. Visit us at EUROPORT 2013, November 5-8, standnr 3110. Jacques Hoffmans, Jurgen van Schijndel or Freek Smulders will be happy to meet you. Made 61m hull and superstructure finished! 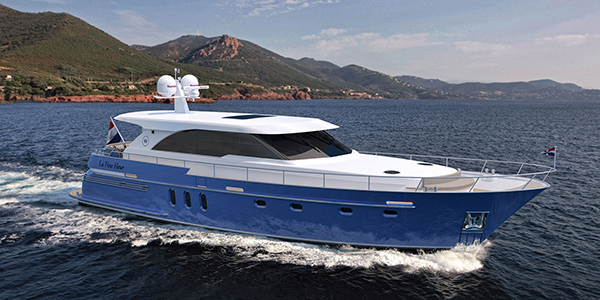 MasterShip Services recently finished the building kit of the 61m motor yacht for Scheepswerf Made. Jacques Hoffmans, directeur van MasterShip, is reeds negen jaar met zijn softwarebedrijf op het gebied van scheeps- en jachtbouw actief in China. Hij vertelde op het Symposium JBN 3.0 over zijn ervaringen in dit land. Ontnuchterende conclusie: de exportkansen voor Nederlandse jachtbouwers zijn zeer gering en het gevaar is groot dat de Chinezen er met Nederlandse kennis vandoor gaan. Maar er liggen toch uitdagende mogelijkheden. Please visit us in Booth J48 where we present MasterShip and SARC Software and our Engineering Services in the Netherlands as well as in China. MasterShip's starts Ship Design Agency in China !! De Chinese scheepsbouwmarkt kenmerkt zich momenteel in een sterke groei in de bouw van jachten en kleinere werkschepen. December 2012: Merry Christmas and a Happy New Year!! MasterShip HQ Eindhoven is closed from 24-12-2012 until 2-1-2013. Borst Maritiem BV and MasterShip Services decided that it would be the best solution that Borst Maritiem BV would take the lead and responsibility for the complete project management, due to the very short turnaround time of this project. Wuhan Bluesea Ship Engineering and Consultant Company (a subsidiary of MasterShip) , carried out the majority of the drawing work coordinated by Borst Maritiem BV. Hoe halen we samen het beste uit onze internationale relaties? Jacques Hoffmans, managing director MasterShip Software BV, introduceert de Maritime Hotspot Shanghai. Voor inzage in het volledige programma, klik hier. Voor inzage in het NML Persbericht: klik hier. You are invited on October 31st in Southampton to get acquainted with MasterShip and SARC during a short seminar with software demo’s showing the latest novelties. 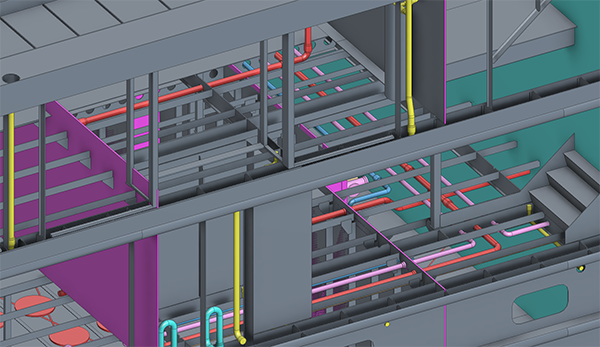 We will present our Modeling Software for all ship modeling, Production Software for the complete work preparation and Plant (SB3DS) Software for all piping and ducting. We will also present the SARC Fairway Design software, PIAS Analysis software and LOCOPIAS loading software since MasterShip is official dealer of SARC software outside the Netherlands. It was nice to meet you during the SMM. We enjoyed it. We thank you for your interest in our company and products and hope the exhibition was as successful for you as it was for us. We are looking forward to our next encounter in….? June 2012: Finally we had the time to celebrate what Jacques Hoffmans started 25 years ago!!! 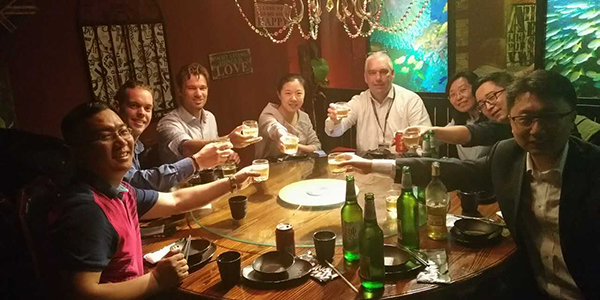 We invited clients to join us for a lovely seafood dinner at a special location, Las Palmas in Rotterdam. SARC and MasterShip Software have joined forces – naturally! So come and see this Shipbuilding Innovation!! Every 1st Tuesday of the month you are welcome to meet us and ask all your questions concerning software, engineering, cooperation, outsourcing or what ever you want to know about MasterShip. You are invited on Thursday March 29th in Navigare NSB Hotel, Harburger Strasse 4, 21614 Buxtehude to get acquainted with MasterShip during a short seminar with software demo’s showing the latest novelties. Goal of this program for young students is to promote working in technical areas with emphasis on the maritime industry. 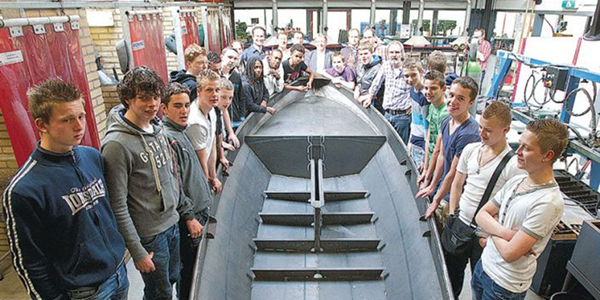 MasterShip sponsored this project by making assembly and building instruction videos for the lelievlet sailingboat. December 2011: We wish you Happy Holidays!! 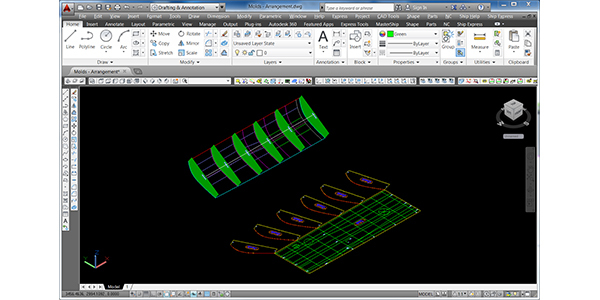 On December 13th we offer an open training to get to know the Drawing Generator (per 1-1-2012 Modeling Software) in every detail. You are invited on Thursday October 20st in Navigare NSB Hotel, Harburger Strasse 4, 21614 Buxtehude to get acquainted with MasterShip during a short seminar with software demo’s showing the latest novelties. At the Batavia werf Lelystad the SARC company presented the latest developments with PIAS, Fairway and LOCOPIAS for an audience of 80 persons and also informed the guests about the future plans. During this day the SARC company will not only present the latest developments with PIAS, Fairway and LOCOPIAS but also inform the guests about the future plans.